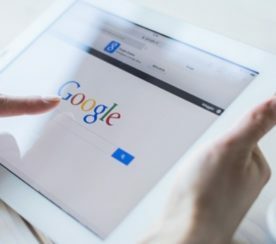 Google has introduced a new type of featured snippet dedicated to displaying more in-depth information about a topic. Similar to how Google displays featured snippets for individual topics, Google can now display a featured snippet that details the differences and/or similarities between two things. Within the featured snippet, searchers can use drop-down tabs to further explore various subtopics. 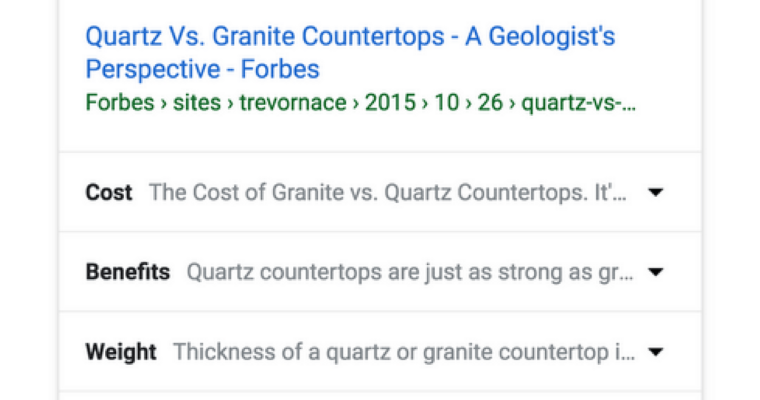 Google provided an example of a comparison between quartz and granite, with expandable subtopics related to cost, benefits, weight, and durability. 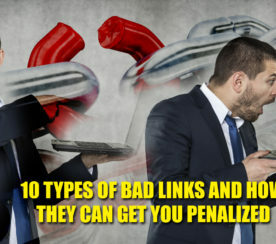 Google says these featured snippets are designed to surface what it understands to be common and useful aspects of a topic. The snippets are automatically generated, so there is no specific type of markup needed in order for content to be included in them. Google notes that this update is part of a series of improvements the company is making to help people access information faster. 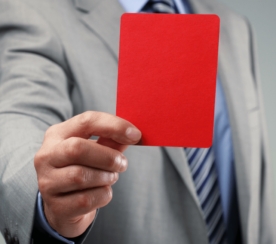 The first in this series of improvements was rolled out in February when Google introduced multifaceted featured snippets. For a look at what might be coming next, take a look at this preview of upcoming search features that Google unveiled last month.